Thanks to a small gap between the frame and the edges of your image, the picture appears to float inside the frame. 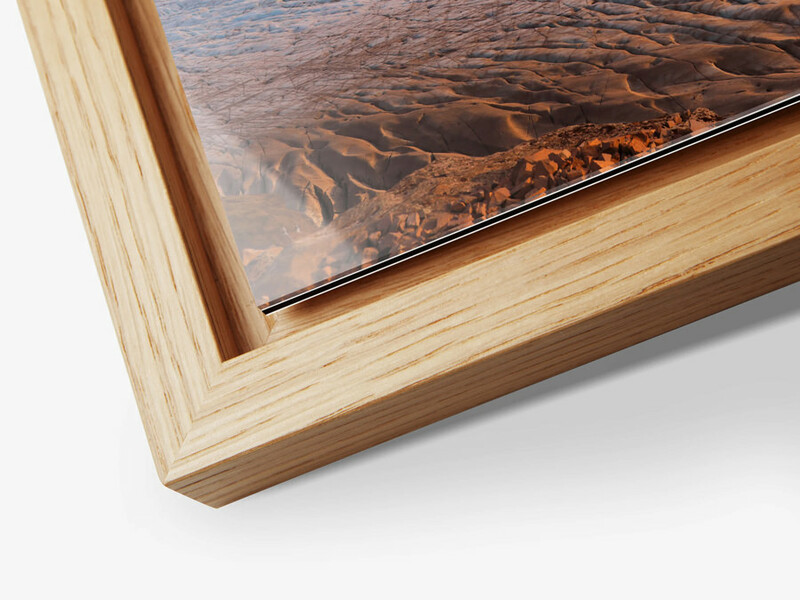 This contemporary frame is both elegant and subtle. You are not a fan of wood? No problem. We can create depth of field just as well without a frame. 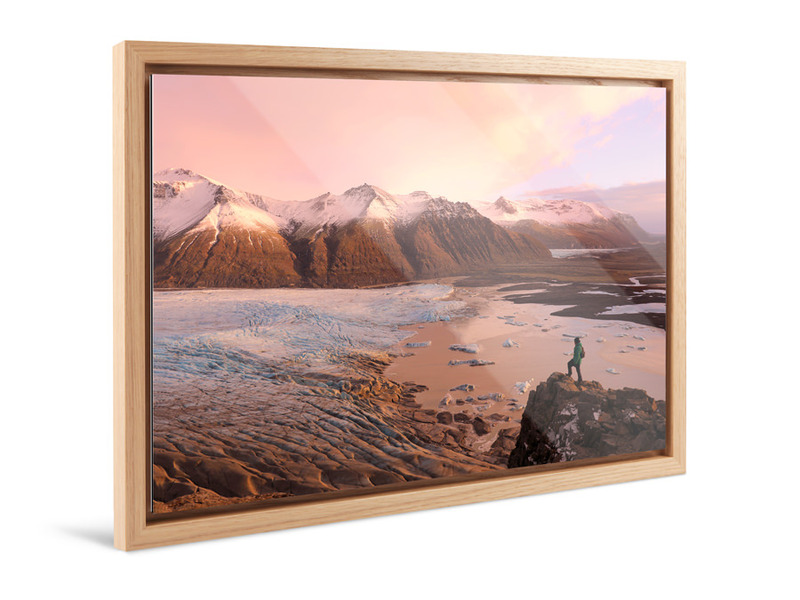 Laminates of original photo prints under acrylic glass are also a top seller at WhiteWall. A modest acrylic glass thickness of just 1/16" (2 mm) will already give you some amazing effects. At 3/16" (4 mm) you are coming into the professional segment, and at 1/4" (6 mm) your pictures will have an unrivalled depth with 3D effect. You feel like you can step right into the picture, your memory – and you will feel like you want all your pictures to look this impressive. You are an amateur photographer but have that one picture that really stands out from all the rest? 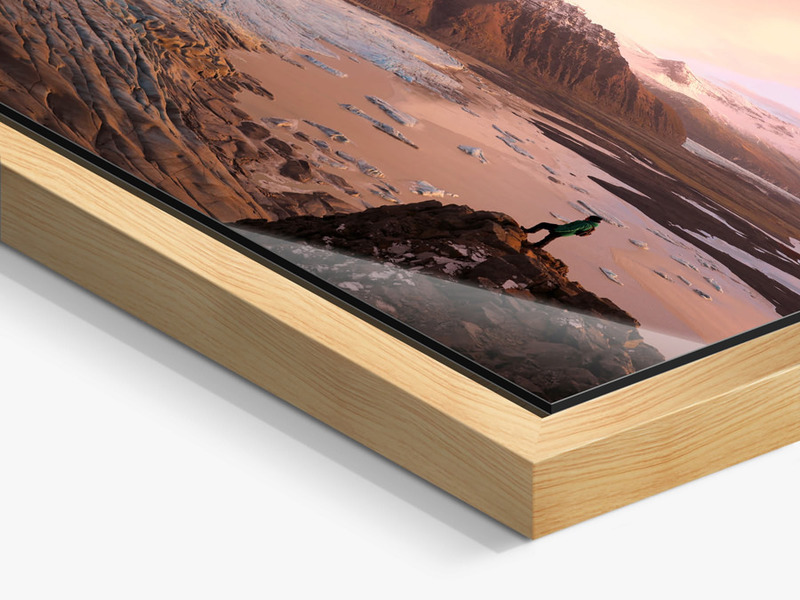 Then you should definitely allow yourself the luxury of an original photo print or a direct print under 1/16" (2 mm) acrylic glass. You are a professional and are looking for the perfect presentation for your next exhibition? 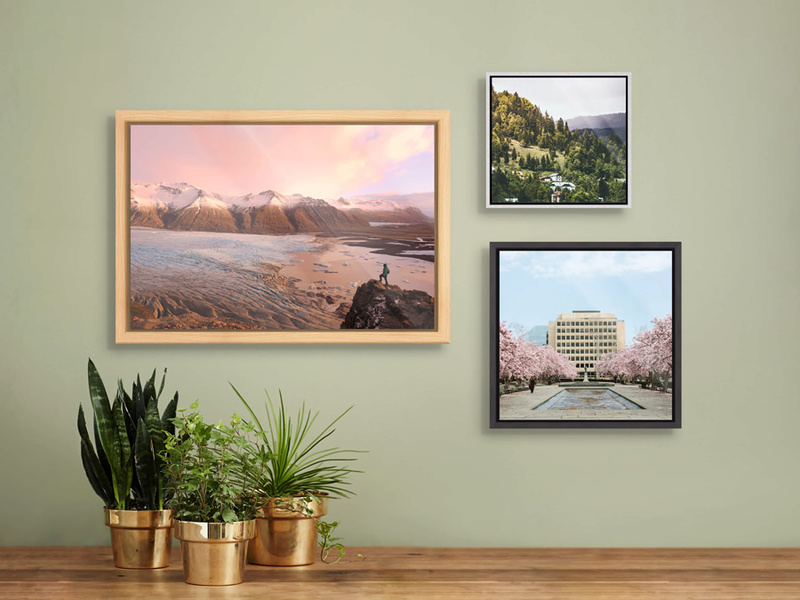 Give WhiteWall a try with an original photo print under 3/16" (4 mm) acrylic glass or order our sample set with a whole range of products and papers. 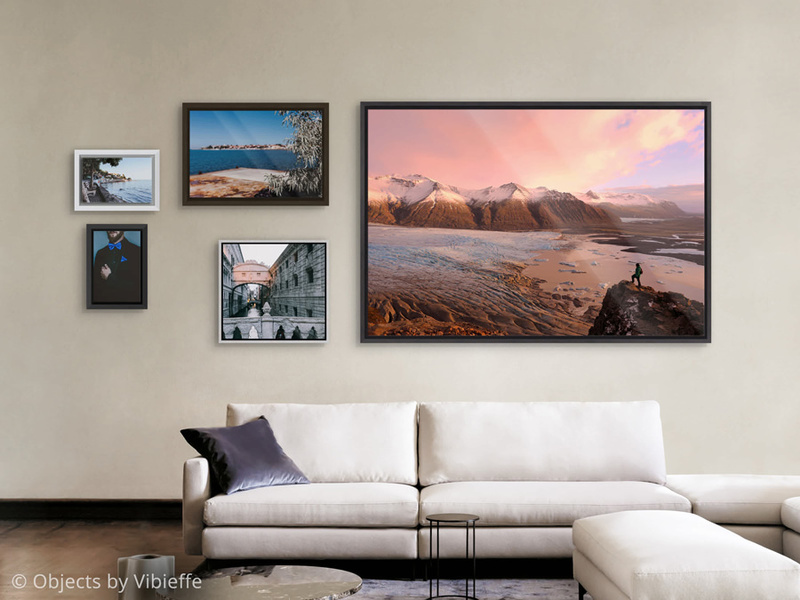 If you are looking for something that will stay beautiful in wind and weather and don’t want to skimp on quality, then you have come to the right place: WhiteWall direct prints on Forex, aluminum Dibond or brushed aluminum are all suitable for roofed outdoor areas and our HD metal print can even stay in the rain without any detriment. Why not give yourself a sunny view out the window on a rainy day: With a HD metal print you can have sunshine in November on your balcony. We have made a name for ourselves with the color brilliance of our products – and we want to keep it that way. That is why we will do our very best for your favorite pictures. That is how good pictures become great ones. We here at WhiteWall are professionals – and we will make you look like one too.